Colburn and Sarah/Sally WEBBER Preston. Colburn Preston was born in Vermont, March 29, 1792, the son of Levi and Martha (Matson/Mattson) Preston. 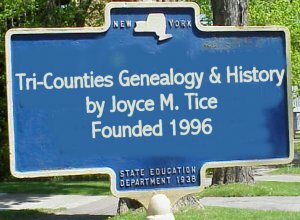 His parents located in Troy Township, Bradford County in 1812. Colburn was a veteran of the War of 1812 having served in Capt. Knapp's New York Volunteers. Colburn married Sarah/Sally Webber on November 30, 1820, at Columbia, Bradford County, PA. Sarah/Sally was born in Pennsylvania March 17, 1799, the daughter of William and Lois BALDWIN Webber. Sarah/Sally's father is listed as a taxable in what was then known as Wysox District, Luzerne (now Bradford) County on Upper Sugar Creek in 1796. 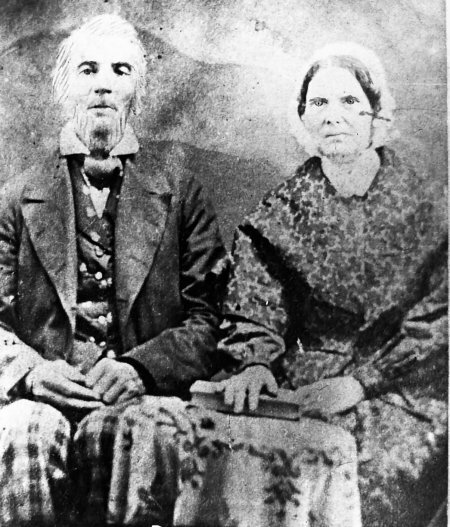 Colburn and Sarah/Sally WEBBER Preston lived in both Columbia and Troy Townships, Bradford County. Colburn died May 30, 1881, possibly at the home of his son, Daniel, in Union Township, Tioga County. Sarah/Sally WEBBER Preston died August 21, 1863. The Prestons are buried in the Hunt Cemetery, Porter Road, Troy Township, Bradford County. I just want to thank you for your work on this Web site. I am the great, great, great granddaughter of Colburne Preston (born March 29, 1792 and died May 30, 1881) and Sally Webber (born March 17, 1799 and died on August 21, 1863)--they were married on November 30, 1820. Their son, Daniel Preston, born on June 8, 1826 and died in December, 1895, is my great, great grandfather. If you're interested, I also know about Colburn's parents and brothers and sisters. My second cousin, Lina Preston, did the geneaological work in the 1960's, to become a Daughter of the American Revolution, through Colburn's father, Levi Preston. I have seen some old photos of my relatives but this photo is the oldest I believe I have ever seen of my relatives.